The amount spent on outsourcing services to the UK has doubled to about £88 billion since the year 2010. The research also shows that the public sector is contracting out services at twice the rate of the private sector. The value of public sector outsourcing deals reached £51 billion over the past two years, compared with £30 billion for the commercial sector. Outsourcing has helped organizations achieve their business goals faster, focus on core competencies, add value to their services and reduce the business risks. We at Outsource2india are committed to the global customers we serve across diverse industry verticals. Our processes have a world-class combination of domain expertise, technology and timely global delivery, which ensure best results for our clients. Read more about all other services we outsource to UK. 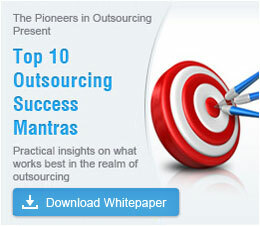 Most companies prefer to outsource because of the significant cost savings associated with it. At Outsource2india, we provide high-quality services to companies based in UK at a fraction of the price when compared to our competitors. Our services ensure that all your data is secure and complete confidentiality is maintained. We do this by leveraging world-class multi-level redundancies and back-up systems. Our services are governed by strict NDAs and adherence to ISO standards. Our quality assurance teams ensure that the final deliverables are always of the highest quality. Our services are strictly governed by ISO: 9001 standards. By outsourcing to us, scaling up and scaling down the resources is very simple. Our large number of workforce and multiple delivery centers across the globe helps us in ramping up your project in as short a time as possible. Our workforce consists of highly qualified individuals from top universities around the world. We ensure that the right people are employed for the right projects and ensure that the projects are completed on time. Outsourcing the ever-expanding back-office operations will allow your employees to re-focus on core and critical business competencies without sacrificing on the service quality. Outsourcing will allow you to share any associated risks with your outsourcing partner, thereby reducing your burden. With specific industry knowledge and security and compliance issues in place, outsourcing service providers assume and manage much of this risk for you. Outsourcing service providers have skilled expertise which helps them produce quality results faster at short turnaround time to the customer. With on-time deliveries ad high-quality services your customers will be delighted. Services at Outsource2india are highly streamlined, based on industry standard best practices, and delivered by a cost-effective mix of resources. In order to minimize the risks which our customers face when they outsource, we leverage our relevant industry experience, quality work approach, and domain expertise in every service we provide. We help improve our customer's productivity and efficiency and deliver quality results by simplifying complex services. If you wish to outsource services to UK and have any kind of service requirement, feel free to get in touch with us and we will be more than happy to help you out. 22% of the US companies who didn't outsource before plan to offshore their business to India. We are seeing an increase in customers coming from the UK, Netherlands and Scandinavia.